Rohit Bhargava on the Social Capitalist: Can You Become More Likeable? Ever have the sneaking suspicion that no matter how hard you work, you could be passed over for a promotion or new opportunity for someone who’s not smarter or more talented, but simply more likeable? 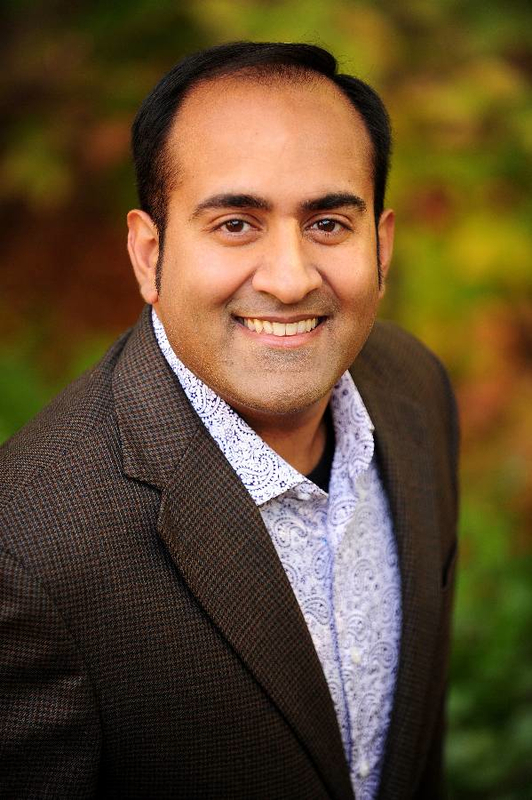 On Thursday Oct 11, 12pm ET, marketing expert and author Rohit Bhargava will confirm those fears but also offer actionable solutions as our guest on the Social Capitalist, with host Sara Grace. He’ll be talking about his book Likeonomics, which tells us that nothing is more important to your success, and the success of your company, than the simple metric of likeability. Rohit is a member of the Global Strategy & Planning Group at Ogilvy. His first book was the bestselling Personality Not Included, and he is a leading voice on how to bring humanity back to business through social media and storytelling. His writing and ideas have been featured in media globally including Fast Company, Inc, PRWeek (UK), MarketingChina, and The New York Times. He teaches marketing at Georgetown University and a keynote speaker at business events like the World Communication Forum in Davos and TEDx. We look forward to seeing you on the call! Click here to register. Transcript and MP3 will be distributed the week following to everyone who signs up. “It’s not that hard to get a meeting with any VIP. The quick recipe is to ask for five minutes of their time in exchange for you giving five hours to their favorite nonprofit. So you’ve got to do some homework. When you first connect with them, send a letter. I prefer a letter that’s typed and sent via FedEx. One of my clients, a huge high-level executive at Deloitte just used this approach. He finally got through to someone he’s been trying to reach for three months. Stanford Professor Jeffrey Pfeffer is the author of 13 books. He discussed his most recent, Power: Why Some People Have It and Others Don’t during a Social Capitalist interview. In the investment world there is an accepted relationship between risk and return. In order to get a big return, you generally have to accept a significant level of risk. In her Social Capitalist interview, legendary networker Heidi Roizen shared her thoughts on the relationship between risk and return in relationships – and why, if doors aren’t getting slammed in your face from time to time, you probably aren’t risking enough. “I think you have to have a certain amount of tenacity and belief in yourself and what you’re trying to accomplish. Sometimes it takes a while to get other people on the same page with you. Sometimes, they’re never going to get on the same page. I think there’s a fine line between appropriate persistence to just beating a dead horse and becoming an annoying presence to the other person. Again I think you have to have the approach of asking yourself, What’s in it for them? During her dynamic interview as part of our Social Capitalist series, Christine Comaford shared the concept of metaprograms. Created by Rodger Bailey, these are lenses through which people see the world. Knowing which lens is in use is key to making sure your message is heard and received. The CEOs, the marketing people, the sales people, are often towards people. The CIOs, maybe, the accounting people, maybe HR, are away. So if you’re trying to get a CFO on board of a certain initiative, you say, “Hey, you know what? Let’s be real cautious, let’s make sure we’ve got all the I’s dotted and T’s crossed.” They’re going to feel a sense of rapport with you. Now you’re not this crazed sales or marketing or other type of towards person who wants to mow them down. This week in the roundup, a few ways to challenge yourself to get out of your shell, manage difficult tasks, and put your relationships on the right track. Get growing. Rough relationships – Part of gaining greater relationships is learning to constructively resolve conflict. In this CBS MoneyWatch article, Robert Pagliarini outlines six steps to resolve conflict. Read them here: http://cbsn.ws/JtzB1q. 1-2-3-4 goal! – We all like shortcuts. Learn four quick steps to hurdle the goals in your life here: http://cbsn.ws/JNfL7i. Are you eating alone? – Your computer is not the lunch date we had in mind when we said “never eat alone.” Shared meal times are great for information sharing and possibly meeting new people in the office. As the author of 168 Hours shares in this article, splitting lunch time between efficiency and socializing provides the right balance for a healthy work life. Read more here: http://cbsn.ws/KmWu7t. Learn to network better than Bill Clinton – Former guest to myGreenlight’s Social Capitalist series, author and executive coach Christine Comaford, shares her secrets on generous networking and the palm up theory. Read her Forbes blog here: http://onforb.es/JrXdZX. Embarrassment as accountability – While this method is certainly unorthodox, I can’t help but be curious about its ability to motivate. A new leisure site Aherk aims to motivate the completion of tasks by blackmailing users with a Facebook post of an embarrassing photo if they miss the mark. Read more here: http://bit.ly/Jd92V9.